A long delayed investigation into the assassination of African-Caribbean historian Walter Rodney (1942-1980, pictured left) has revealed that former President Forbes Burnham was behind his murder. Although this was the assumption after Rodney was killed when a communication device exploded in his brother’s car on June 13, 1980, the government of Burnham claimed that the historian, who was the leader of the opposition Working People’s Alliance (WPA), was engaged in an attempt to bomb a prison near where the incident took place. The Commission of Inquiry (COI) was convened in 2014 some 34 years after the assassination of Dr. Rodney who was a leading figure in the intellectual and political affairs of both Guyana and the African world as a whole. Since 1980 when he was killed, his comrades within the Working People’s Alliance (WPA), the Rodney family, along with colleagues throughout the internationally community, have demanded a thorough investigation into the circumstances surrounding his death. It would take two years for the completion of a 155-page report outlining the Commission’s findings. However, the struggle for full disclosure is ongoing within Guyana where tremendous opposition has existed for decades in regard to a probe into the assassination. Although the Guyana government under the previous administration of President Donald Ramotar of the Progressive People’s Party (PPP) embarked on the controversial inquiry, the-then (1980) ruling People’s National Congress (PNC) has been resistant to fully cooperate with the investigation. Forbes Burnham, who held power in Guyana from 1964-1985 when he died while undergoing surgery, was said to have felt threatened by Rodney and his organization of an opposition party, the WPA, which sought to bridge the political gap between the majority East Indian and African populations. The three major political parties in Guyana during the late 1970s and early 1980s, the ruling PNC, the opposition PPP led by Cheddi Jagan and the WPA headed by Rodney, all claimed to socialist. The approaches of the two opposition parties, the PPP and the WPA, were quite different. Efforts by the WPA were clearly aimed at the removal of the Burnham government and therefore viewed as the principal threat against the PNC. Prior to Rodney’s assassination in 1979, the historian and politician was charged along with other WPA members of an arson attack against a government facility. Rodney was facing prosecution on these charges nonetheless he continued to organize and speak out against the PNC administration. Those close to Rodney say he believed that there was a plot underway to take his life. There was a delay in the printing of the Commission report and it has still not been made fully public or presented to the legislative body of the country. Current Guyana President David Granger is the former Commander of the Guyana Defense Forces (GDF) and held that position at the time of Rodney’s assassination. Granger has been a leading figure in the PNC party for years. He contested the presidential elections against the PPP on behalf of the PNC-Reform party and lost to Ramotar in 2011. Nonetheless, he ran again in May 2015 representing the opposition coalition APNU-AFC winning a majority of the votes. The COI concluded that an operative of the GDF, Gregory Smith, carried out the assassination of Rodney. Smith was then sent out of the country to French Guiana, a colony of Paris. Smith is said to have died in 2002. 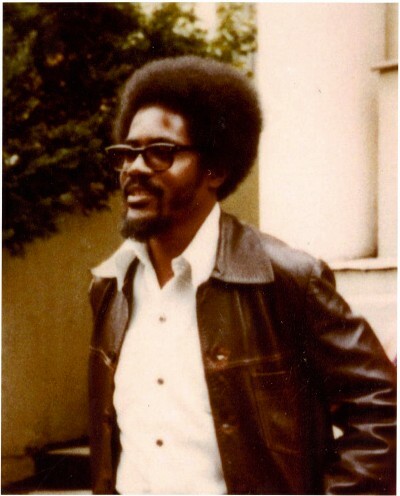 The independent Justice for Walter Rodney Committee called for the full report to be submitted to the Guyana National Assembly as well as the family and supporters of the martyred historian. Rodney was a well-known and influential Pan-Africanist and Marxist historian as well as a political activist who studied at the University of the West Indies, the University of London and held a faculty position for years at the University of Dar es Salaam in Tanzania. After working for several years in Tanzania and as a visiting scholar in several higher educational institutions such as the University of Michigan in 1972, Rodney was invited by the University of Guyana to take a faculty position. However, the government of Burnham blocked the appointment in an effort to prevent Rodney from remaining in his country of birth. Rodney remained and later organized the WPA bringing together several Left and Pan-African organizations. His presence in Guyana politically challenged the image of the Burnham government which sought to portray itself as a supporter of African liberation movements and socialism. At the time of his assassination, Rodney was writing a seminal “History of the Guyanese Working People” which was published in its incomplete form after his death. His study entitled “How Europe Underdeveloped Africa”, initially published by the government of Tanzania in 1972, remains a signature text on the role of imperialism in the continuing struggle for genuine liberation and socialism in Africa and internationally.